Having a great dealership nearby that offers more than a place to buy a new car is essential to the care and upkeep of your BMW. At Pfaff BMW, our facility is well equipped to provide you with the customer service and technical maintenance needed to keep you and your vehicle happy. Mississauga residents can easily find a great BMW dealership nearby, complete with superior services, with a visit to Pfaff BMW! Please read on to learn more about what our dealership has to offer you. As one of the largest and most advanced BMW dealerships across Canada, our facility has the means to provide the high-quality care that matches the expertly engineered BMW brand of vehicles. Boasting 28 BMW factory trained technicians and 28 service bays, we have the skills and experience to facilitate any repair work or maintenance needed to have your BMW back to its prime condition. When you make an appointment with us, your BMW Service Advisor will check to see if the work needed can be conducted under our Express service. These appointments can be made on short notice and will be completed in a quick and timely manner to see you back out on the road in no time. As an owner of a BMW, you know first hand the superior nature of your vehicle. If you require parts to repair your car and bring it back up to its factory standard than original BMW factory parts are a must. By acquiring original parts for your maintenance and repair needs, you are obtaining meticulously constructed and thoroughly tested pieces that work in harmony with your BMW, resulting in optimum performance, maximum safety and longevity. From quality assurance to construction planning, Original BMW Parts purchased from us at Pfaff BMW are subject to the same quality and performance standards as those found on brand-new BMW vehicles. 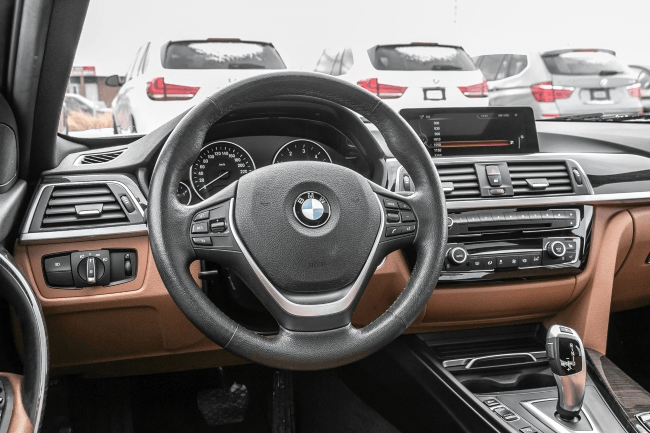 Mississauga residents should consider us here at Pfaff BMW when they need quality repairs, quick and comprehensive services, and original parts to outfit their vehicle. Our dealership is locally situated at 4505 Dixie Road, and we are ready and waiting to help you with all of your BMW needs. Please feel free to continue to browse our website, or click here to find our contact information, fill out our contact form for further assistance, to find original parts, or to schedule a service appointment today!